If you can attract a Tufted Titmouse to your yard, you are sure to appreciate its fun character. It's easy to identify a Tufted Titmouse by its striking blue-grey colors and hard-to-miss crest. Tufted Titmice live in the eastern United States and like to nest in old-growth forests. Families of Tufted Titmice sometimes stay together after the nestlings are old enough to leave the nest. From bird seed, nuts and suet to insects and spiders, Tufted Titmice will eat almost anything other backyard songbirds will. For a small bird, the Tufted Titmouse makes a big impression with many beginning bird watchers. Its crest and large head make it appear larger than the 6.5 inches it actually is. 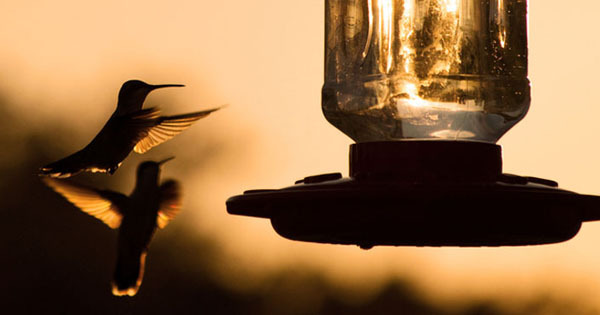 These adorable songbirds are a favorite of many backyard birders. The Tufted Titmouse has a distinctive song that is most often described as saying "peter…peter…peter", and it does like to sing. Tufted Titmice can also be little acrobats - flitting through the trees and hanging on small branches and tree limbs. Spend a few minutes watching a Tufted Titmouse and you'll see why its sometimes described as an acrobat. These fun little birds are quite the entertainers, and they can usually be found in a flock of other clinger birds like chickadees, woodpeckers and nuthatches. 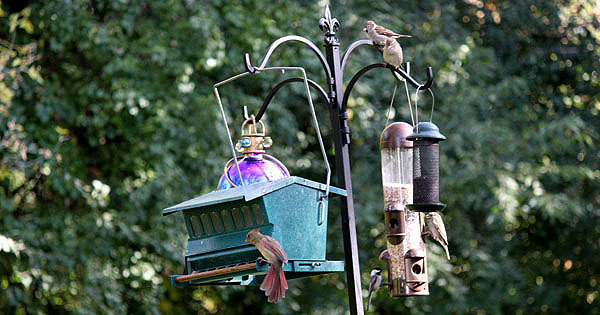 Whether they are looking for insects or eating from a favorite bird feeder, you can often see Tufted Titmice (and other clinger birds) hanging upside down to get to their food. Old growth wood or dead trees make the perfect site for a Tufted Titmouse nest. They look for a new site each year however, adding to their difficulty in finding suitable sites as forests are turned into neighborhoods for the growing families in America. It only takes a few days for Tufted Titmice to create a nest once they have located the perfect site. They use nearby natural resources including grass, leaves, moss and hair. The hair may come from a wide variety of animals. Imagine how your dog would feel knowing that the fur it sheds during the warm summer months may be used to line the nest of a Tufted Titmouse. Tufted Titmice have 5-6 eggs which the female will incubate for up to 2 weeks. Once they hatch, the young Tufted Titmice will stay in the nest for up to 18 days (sometimes longer). Occasionally the families will stay together for the winter, although the young birds are expected to find food for themselves once they leave the nest. While some Tufted Titmice have two broods, it is not uncommon for each pair to only have one brood each season. Sometimes a young Tufted Titmouse will stay with its family throughout winter and help with the new brood in the following spring. Tufted Titmice eat a variety of different foods. Their diverse diet may include insects or bugs they peck off of trees, as well as seeds that grow wild or that you provide at a bird feeder. 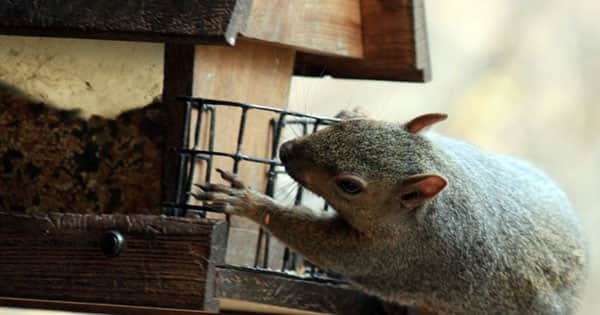 They will eat sunflower seeds, suet or peanuts at a bird feeder, as long as the nuts are shelled or crushed into peanut butter. 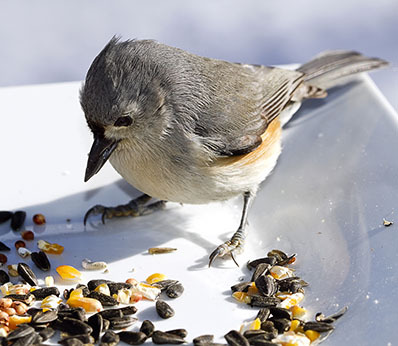 Like chickadees, Tufted Titmice will hoard food they can eat during cold winter months. If you knew where to look, you might find seeds tucked into the bark of a tree or even buried underneath the grass in your yard. This cache of food helps them stay healthy when food becomes scarce. If you are in the western part of the United States, you will have to travel east to see these adorable little songbirds. They are rarely found west of Nebraska and tend to avoid higher-elevation areas over 2,000 feet. If you are fortunate enough to live in areas where Tufted titmice reside, offer bird seed year-round to keep these entertaining birds nearby.